Automates businesses, reduces labor costs, and improves productivity across entire workforce anytime, anywhere, and on any device for businesses of any size in real-time, if needed. It took us several hours each week to collect, verify and get the time into our payroll system. With WorkMax TIME, those hours have now gone to minutes, Best of all, the time goes directly into our accounting and payroll system. 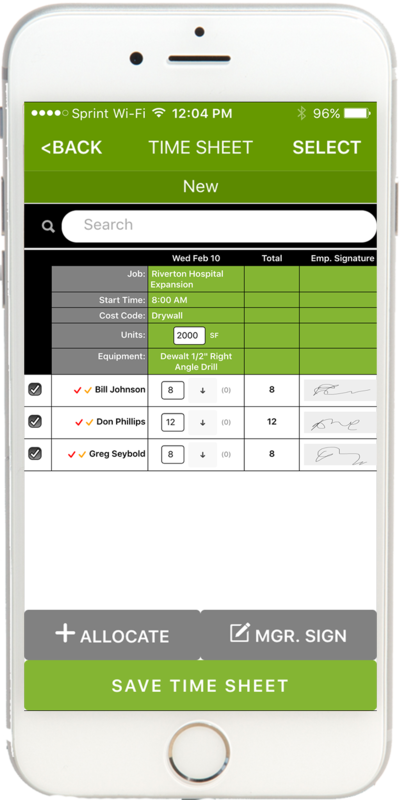 AboutTime Technologies, a 13-year veteran of on-premise mobile resource management, today launches its second cloud-based solution in the WorkMax Complete Suite which includes FORMS, TIME, ASSETS, SERVICE, and INSIGHT. 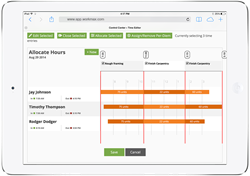 WorkMax TIME by AboutTime Technologies is now available along with its previously released WorkMax FORMS. 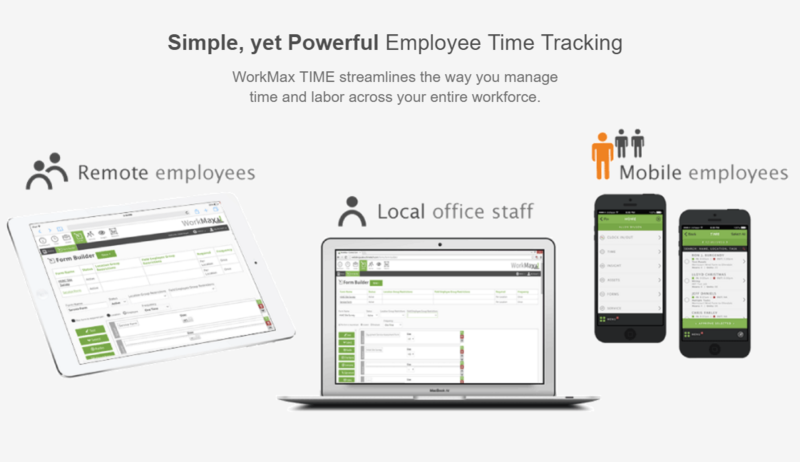 WorkMax TIME automates time collection and management across a business’ entire workforce anytime, anywhere, and on any device to increase labor productivity and reduce labor cost with real-time accuracy, if needed. 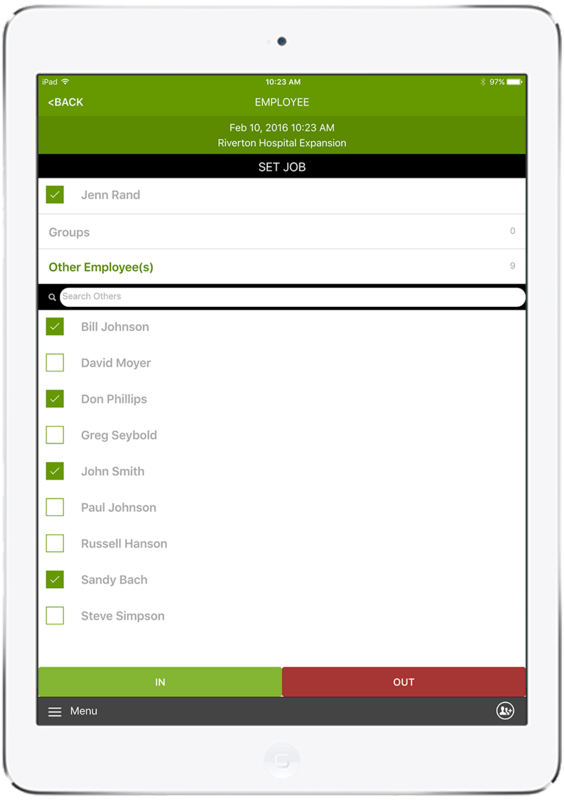 Unlike any other employee time tracking solution on the market, WorkMax TIME has the flexibility to handle any size business with multiple workflows for time entry and allocation with options for employees and/or supervisors to enter or allocate time. The multiple workflows now give businesses the freedom to manage and allocate labor hours and costs in real-time, after the fact or with digital time sheets. Businesses are not limited to one workflow; they can utilize one or all of the workflows all at the same time. "With the majority of our workforce scattered in the field across multiple locations, it took us several hours each week to collect, verify and get the time into our payroll system. With WorkMax TIME, those hours have now gone to minutes. Best of all, the time goes directly into our accounting and payroll system. The set up was fast and the WorkMax support has been outstanding. It makes me want to go back to doing payroll," said Carmie Malabanen, accounting manager at Unity Electric. To learn more about WorkMax TIME, join AboutTime Technologies on August 24, 2016 for a thirty minute webinar starting at 10 AM MDT. Click here to register. Real Time Labor Tracking for Individuals or Groups Digital Timesheet Entry MODERN TIME TRACKING FOR YOUR ENTIRE WORKFORCEEmployee Time Tracking for office employees, remote employees, or mobile employees all in one solution. WorkMax TIME Makes Payroll a BreezeGet ready to increase efficiency, eliminate manual data-entry and automate the entire TIME collection process with the WorkMax.